Every member of your family will find the high-quality dental services they need to improve their oral health at Beaufort Street Dental Centre. From providing routine checkups to handling more complex needs, our knowledgeable team is ready to serve you. 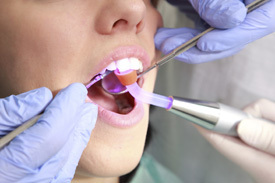 We focus on addressing problems early to help you maintain a healthy, beautiful smile. Insurance is accepted, and free parking is available. Contact us today to find out more about the many services we offer!